Robert E. Lamb of Plainwell (formerly of Otsego) passed away Thursday, October 31, 2013 in Kalamazoo. Mr. Lamb was born June 14, 1916 in Linden Village, Genesee County, MI, the son of Charles A. and Margery S. (Kaach) Lamb. Surviving are 2 stepsons, Dale (Janet) Lamb of Plainwell, David (Cynthia) Lamb of Palm Coast, FL; many grandchildren; 1 brother, Lester (Sharon) Lamb of Gobles; several nieces and nephews. Friends may meet with his family on Saturday from 5-7 P.M. at the Winkel Funeral Home, Otsego, MI, where a funeral service will be held Sunday, November 3, 2013 at 2:00 P.M. with Pastor Daniel Ferraz officiating. Burial will follow at Mountain Home Cemetery, Otsego. Donations in Robert’s memory may be made to the Kalamazoo Seventh Day Adventist Church Community Center. Lester “Sam” Goudy of Otsego, passed away Sunday, October 27, 2013, in Otsego. Sam was born December 1, 1928 in Kendallville, IN, the son of John and Ethel (Walker) Goudy. 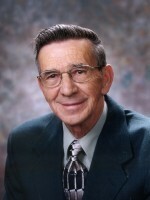 For many years he was employed with the City of Otsego Department of Public Works, retiring in 1991 as superintendent. Sam was a member of the Otsego V.F.W. Post #3030 Men’s Auxiliary, Otsego Elks Club #1711, and the Otsego Moose Club #345. In his leisure time he enjoyed golfing and woodworking. 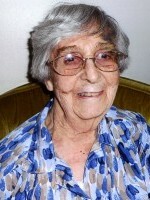 On June 16, 1950 in Otsego he married Patricia MacDonald, who passed away in 1998. Also preceding him in death were his parents; a daughter, Susan Gomber; a sister, Arline Tungate; and his step-mother, Josephine Goudy. Surviving are a son, Michael Goudy; a daughter, Vicki (Jim) Martin; son-in-law, Randy Gomber; grandchildren, Doug (Julie) DePauw, Leslie (Todd) Guizio, Nikki Gomber, Rob Doubblestien, Ammie (Troy) Coburn, Rhonda (Chad) Gorton, Jamie (Sam) Moss, Jessie Goudy and Jessica Goudy; great-grandchildren, Brooke, Chelsea, Jacob, Ryan, Rachael, Kylee, Connor and Jasmine; a great-great-granddaughter, Naomi; a sister, Janet Stout; his loving companion, Jane Tice; several nieces and nephews. Friends may visit with Sam’s family from 6 to 8 P.M. Wednesday at the Winkel Funeral Home, Otsego, where a funeral service will be held at 11:00 A.M. Thursday, with celebrant Bill Rose officiating. Burial will follow at Mountain Home Cemetery, Otsego. Contributions in memory of Sam may be made to V.F.W. Post #3030. 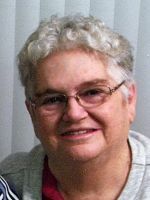 Avis McConney, of Plainwell, (formerly of Otsego and Kalamazoo) passed away Sunday October 27, 2013 at the Stanford Lodge in Plainwell, surrounded by her family and caring staff. Mrs. McConney was born March 2, 1915, in Allegan to Otto and Lotta (Dostie) Hettinger. Avis earned her Bachelor of Arts from Western Michigan University. She was a talented and prolific artist who loved to paint. For over 50 years she was a member of the Art Center of Battle Creek and the Kalamazoo Institute of Arts. Avis also enjoyed gardening and reading. She was an avid traveler, and with her husband visited over 72 countries. On December 19, 1936 in Allegan she married George McConney, spending 72 years together before his passing in 2009. Also preceding her in death were her son, Mario; sister, Ardis; and son-in-law, Max. Surviving are her children, Susan Snyder of Otsego, Martha (Paul) Levy of Battle Creek, Dennis (Donnell) McConney of Plainwell; an adopted son Hoa (Xuan) Le of Novi; grandchildren, Scott, Mikki, Beth, Becki, Curt, Angela, James and Kevin; 4 great-grandchildren; several nieces and nephews. Cremation has taken place and there will be no public service. Contributions in memory of Avis may be made to the Art Center of Battle Creek or the American Diabetes Association. 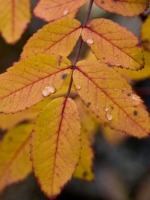 Jane Blunt of Kalamazoo passed away Saturday, October 26, 2013 in Oshemo Township. Jane was born August 14, 1931 in Kalamazoo the daughter of Bernard and Eda (Bauman) Kavanaugh. Cremation has taken place and a Memorial Mass will be held at a later date. A lifelong resident of Otsego, Sharon L Sage, passed away peacefully, with her family at her side on Thursday, October 24, 2013, in Kalamazoo. Sharon was born October 21, 1945, in Plainwell to Robert and Mary (Miles) Sage. For 13 years she was employed with Kal-Equip Manufacturing. She was an avid Tigers fan, never missing a game and able to recite all the stats from years past. She loved reading and had a substantial library. Sharon was very artistic, and enjoyed exhibiting her works at the Allegan fair. Several years ago she placed Best of Show at the fair with a picture of her dog. She loved animals, enjoyed following horse races, watching dog shows and caring for her parakeets. Her faith was an important part of her life. Surviving are her sister, Janis M. (Bob) Crandall of Marshall; a niece, Lisa (Bjorn) Larson and a nephew, Robert S. Crandall, all of Marshall; a great niece and great nephew, Hannah and Andrew Larson; and a cousin, Frances Longnecker. She was preceded in death by her parents. Cremation has taken place and a private family graveside service will be at Mountain Home Cemetery, Otsego. Contributions in memory of Sharon may be made to the Kalamazoo Humane Society. Areitta “Rita” Jacobs of Otsego, Michigan passed away Sunday, October 20, 2013 at Plainwell Pines. Mrs. Jacobs was born June 26, 1937 in Kalamazoo to Lloyd and Blanche (Leversee) Conner and was a lifelong resident of the area. Rita was a devoted homemaker. In her leisure time she loved watching hummingbirds, enjoyed her cats and especially loved her family. On May 16, 1959 she married Norman Jacobs who passed away in 2009. Also preceding her in death were her parents; step-father, Richard Brewer and step-mother, Helen Minegar. Surviving are a son and daughter, Robert (Nancy) Jacobs of Shelbyville and Sharon (Cameron) Davis of Otsego; two grandchildren, Carl Lloyd (Mary) Jacobs and Casey Jo Jacobs; siblings, Cecil(Shirley) Conner, David (Wendy) Conner and Barbara (Bruce) Holzhausen. Friends may visit with her family from 6 to 8 P.M. Wednesday at the Winkel Funeral Home, Otsego. A graveside service at Miner Cemetery will be held at 2:00 P.M. Thursday, celebrant Bill Rose officiating. Contributions in memory of Rita may be made to Plainwell Pines activity fund. 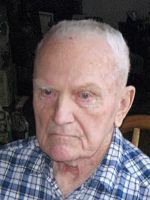 Mr. Sherley E. Noyes of Plainwell passed away Friday, October 18, 2013 in Plainwell. Mr. Noyes was born March 22, 1917 in Merson the son of Samuel and Gertrude (Miller) Noyes. He attended the Grand Rapids School of Bible and Music. Sherley was a charter member of Lighthouse Baptist Church where he led Bible studies and preached on occasion. He also preached at nursing homes. For many years, he volunteered at the Wycliffe Bible Translators World Headquarters in Duncanville, TX. Sherley farmed; did TV and radio repair and built and flew his own airplanes. He loved being with his grandchildren. On April 5, 2008 in Otsego, he married Linda Foote, who survives. Also surviving are a daughter, Susan K. Weiland of Concord, CA, a son, Tom (Elaine) Noyes of Otsego; a daughter-in-law, Debra Noyes of Otsego; 5 grandchildren; 1 great grandchild; 5 stepchildren, David (JoAnne) Foote of Marinette, WI, Dianna (Mike) Blondell of Alamogordo, NM, Larry (Sandy) Foote of Martin, Karen (Ken) Fritz of Plainwell, Sandra Herring of Kalamazoo. ; many step grandchildren and step great grandchildren; a sister, Helen Smatt of Angola, IN; several nieces and nephews. He was preceded in death by his wife Mary Kathryn in 2000, an infant son, Stephen and a son Joseph Noyes in 2013. Friends may meet with his family Tuesday, October 22, 2013, from 6-8pm at the Winkel Funeral Home, Otsego. A funeral service will be held Wednesday, October 23, 2013, at 11:00 AM at the Lighthouse Baptist Church, 12220 Cressey Road, Plainwell with Pastor Jerry Bowen officiating. Interment will be at Mountain Home Cemetery, Otsego. Those desiring may make memorial contributions to the Lighthouse Baptist Church. Hazel “Jean” James of Portage, Michigan passed away Friday, October 18, 2013 at Rose Arbor Hospice in Kalamazoo. Mrs. James was born March 27, 1945, in Grand Haven to Nolan and Neatice (Cowell) Parker. She was a graduate of Plainwell High School, had driven bus for Plainwell schools for 8 years and also worked in the ER Registration Dept. at Pipp Hospital. Jean enjoyed spending time with her family, playing cards, camping and crocheting. She especially enjoyed traveling in their motor home, even traveling to Alaska. On October 12, 1963 in Cooper she married Lester James, who survives. Also surviving are her children, Kathy (Kevin) Sparks of Otsego, Bill (Sally) James of Surprise, AZ, Russ (Sheri) James of Gobles and Dennis (Jen) James of Saranac; 9 grandchildren and special friends Dale (Pam) Mentor, who donated his kidney to Jean. Friends may visit with her family on Monday, October 21, from 2-4 and 6-8 P.M at the Winkel Funeral Home, Otsego, MI where services will be held at 11:00 A.M. Tuesday with Pastor Ted Koehl officiating. Cremation will follow. Contributions in memory of Jean may be made to Mary Free Bed, Rose Arbor Hospice or the Kidney Foundation. Stephen Rex of Otsego passed away Wednesday, October 16, 2013 in Kalamazoo. Steve was born September 18, 1959 in Kalamazoo, the son of Howard and Thelma (Sheflea) Rex. Steve was a graduate of Otsego High School. He was an avid NHRA dragster race fan, attending many events at the Martin drag strip. 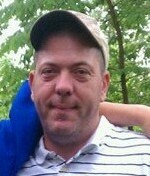 Steve also enjoyed fishing and had participated in many bass tournaments, and spent winters in Florida. Survivors include his father; sisters, Jackie (Dave) Dutton of Otsego and Susan Paolella of Winter Haven, Florida; several nieces and nephews. He was preceded in death by his mother; sister, Sally Girling (Rex), and brother-in-law, Charles Paolella. Cremation has taken place and a private family service will take place at a later date. Those desiring may make memorial contributions to the American Cancer Society.